Every now and then I find myself reminiscing. This, I'm told, is a symptom of age. Never mind, I say. As long as I don't stay there in the past, it's okay to visit. And if I'm repeating myself, well just nod politely and pretend interest. When my undergraduate piano teacher, Muriel Kerr, died, her replacement was Jakob Gimpel. 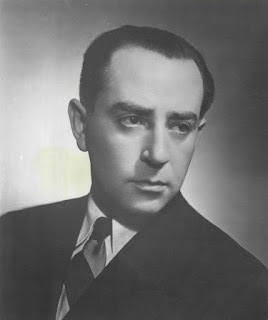 Gimpel was a distinguished Polish pianist with an established European career, although he lived in Los Angeles. I hadn't heard of him, though, until I met him that fall of 1963 when he took over Kerr's studio. I hadn't heard of him, but I had indeed heard him without knowing it. Gimpel was the go-to pianist in Hollywood. He provided the piano in "Gaslight," in which he appears on screen, "Possessed," "Letter from an Unknown Woman," "Strange Fascination," "The Story of Three Loves," "Planet of the Apes" and "The Mephisto Waltz." 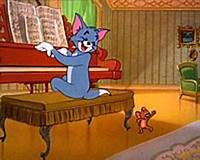 But perhaps most notably were his performances in two Tom and Jerry cartoons, one of which, "Johann Mouse," won an Academy Award for best short.